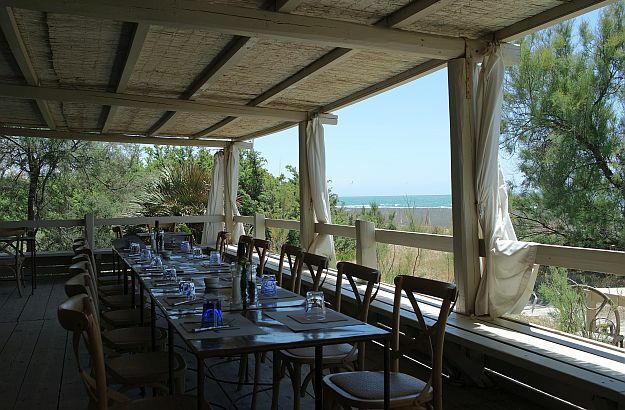 A seaside lunch under a big blue sky… What more could anyone want? The kind of ambience that I am fond of, both relaxed and stylish. A sandy beach that extends forever alongside the Mediterranean. The Rosso e Vino’s menu, dishes and wines, will make your mouth water. On the dividing line between Tuscany and Lazio, a patch of paradise. 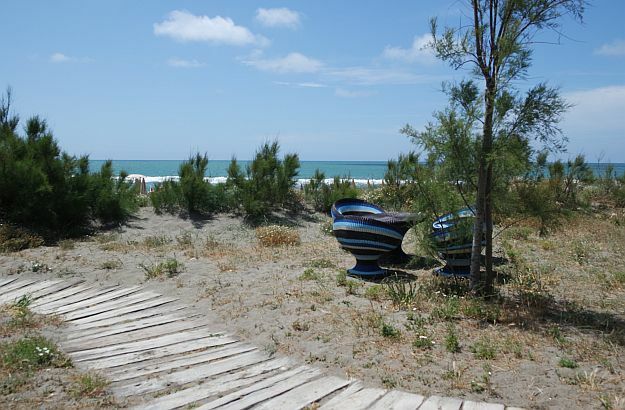 Within walking distance from our Piccola or Duna Grande villas. 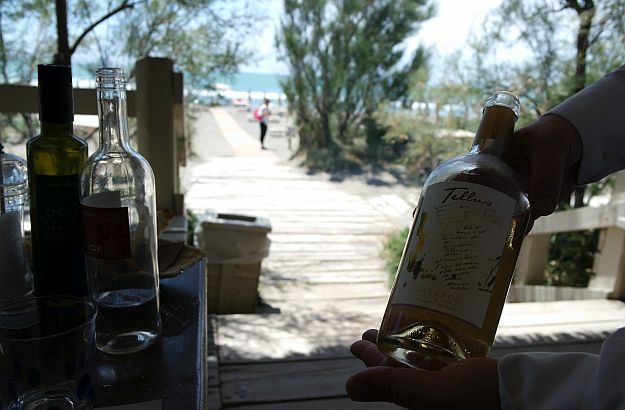 In a previous article, I told you about the seaside restaurant where we love to go – for a superb fish lunch! 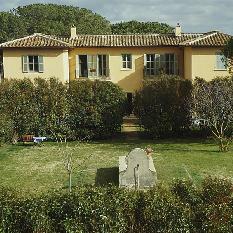 – when we are staying in Bolgheri or at one of our Trust & Travel villas on Tuscany’s central coast. But if you happen to be holidaying further south in one of our inland residences, the good news is that you won’t have to drive all the way up to this part of the littoral. 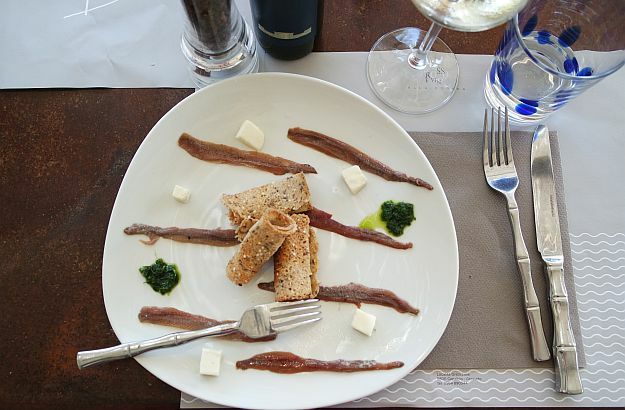 For right on the border between Tuscany and the Lazio region, you will find a little gem of a restaurant which will make you very happy too: the Rosso e Vino alla Dogana. My family and I have been coming back to the Rosso e Vino for years. I remember the very first lunch we had there: I literally fell in love with the ambience, both relaxed and elegant, and with their spaghetti al pomodoro, prepared with the freshest tomatoes from the area. Needless to say, all the fish and seafood you’d want from the nearby sea waters are proposed in their menu, and their desserts will make your mouth water. I suggest you combine a beachside lunch at Rosso e Vino with a visit to Niki de Saint-Phalle’s Tarot Garden, which lies at a mere 15 minute drive further inland. 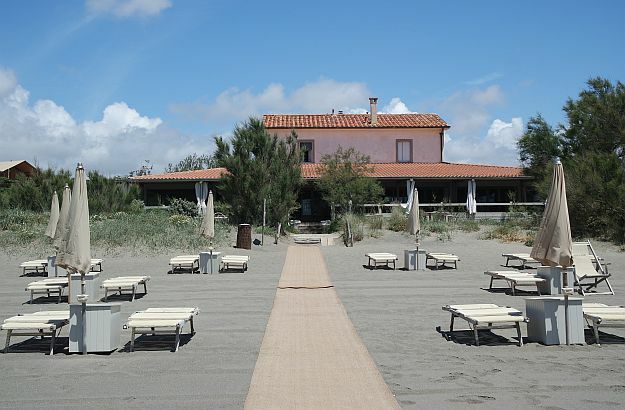 And if you happen to be staying at our Piccola or Duna Grande villas, you won’t need to drive to the restaurant. 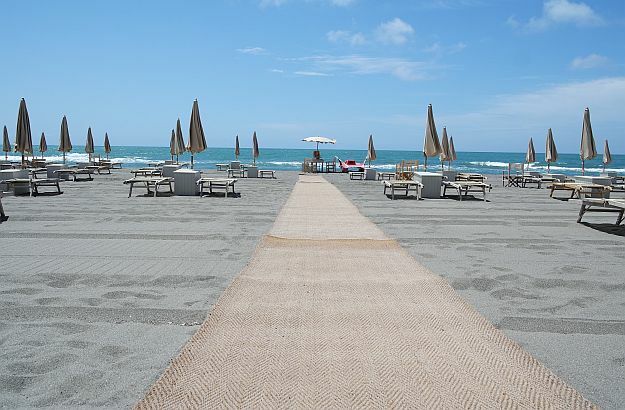 Just take a lovely northbound stroll along the beach until you reach the Dogana, the small river that flows alongside the Rosso e Vino before vanishing into the Mediterranean, and which forms a natural border between Tuscany and Lazio. You will find useful information on the restaurant’s facebook page. In July and August, as well as on warm sunny Sundays at any time of the year, you should make an advance reservation. Here is their telephone number: +39 0564 89 03 44, and address: Località Graticciaia, 58011 Capalbio.